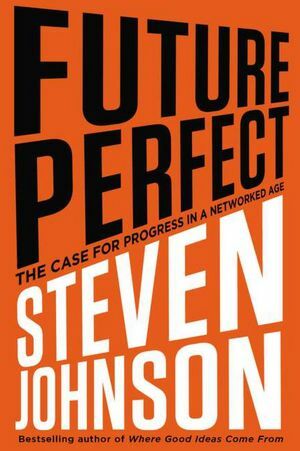 Naming a book Future Perfect is audacious to put it mildly but, with his compelling explanation of how collaboration can drive progress Steven Johnson just about gets away with it. Only through dispersed and diverse networks of action, Johnson argues, can we confront the more intractable challenges of the twenty-first century, such as broken government, the fading publishing industry and income inequality. Surprisingly for a nominally future-facing text, Johnson begins by persuasively asserting that things right now aren’t nearly as bad as they seem: the “if it bleeds it leads” ethos prevalent in modern media tends to distract us from some of the substantive social gains made in recent decades, from falling crime rates to rapidly improving airline safety. This optimism underpins the rest of Johnson’s argument. Seeing past and present trends through rosier-tinted glasses allows him to wax hopeful about the future too. The most prominent example of such ‘networked thinking’ at present is of course the Internet, which accounts for many of the most positive recent developments in society. Wisely, however, Johnson doesn’t pretend that the Internet is a panacea, just that it is a “way of thinking” about today’s problems – thus avoiding the over-exuberant ‘cyber-utopianism’ of writers such as Clay Shirky. Nonetheless, the ‘peer progressive’ philosophy Johnson espouses here does inspire its fair share of wide-eyed wackiness alongside some genuinely well-thought out ideas. In the section on democracy for instance, Johnson proposes that citizens be allowed to hand off votes in various elections to better-informed friends or experts to decide on their behalf. Quite how this would solve rather than exacerbate the problem of money in American politics isn’t very clear. Overall however, Johnson’s peer progressive paradigm is a surprisingly perceptive way of explaining past success stories, like Wikipedia and Kickstarter, and predicting where future breakthroughs will come from, especially in the areas of urban development, corporate responsibility and the evolution of the media. A perfect future may be beyond our reach, but Johnson artfully argues that by using the collaborative technology of today, our best days might yet lie ahead of us.